Comm Eye Health Vol. 10 No. 22 1997 pp 17 - 19. Published online 01 June 1997. In recent years there has been renewed interest in retinopathy of prematurity (ROP), so it is timely that this issue of Community Eye Health contains three articles on this subject. First described in the 1940s, when it was known as retrolental fibroplasia (RLF), it was not for another ten years or so that oxygen administration was identified as a factor in its pathogenesis. Not surprisingly its disappearance was then widely and openly anticipated. Unfortunately, this belief was misplaced. Today ROP is assuming greater global importance because it now affects babies born in middle income countries, whereas previously it was largely confined to industrialised and higher income communities. Kumar and Singha rightly point out that as stage 3 ROP can be effectively treated, ROP screening is now important and cost effective. It is critical for the clinician to appreciate that examinations must be undertaken at the correct time so as not to miss the short time available for intervention, which is at the most only 1-2 weeks. Guidelines have recently been developed3 with an understanding of the natural history of ROP, and this greatly helps the design of a screening protocol. Both ROP development and progression are governed mainly by the post-conceptual (effectively the same as post-menstrual) age of the baby, rather than by neonatal events. Thus, while the ophthalmologist must be sensitive to the condition of the baby, it is important not to miss an examination at the critical time for treatment, and if there is concern about the weakness of a baby with respect to the examination, this should be discussed with the neonatal team. Both cryotherapy and diode laser are effective in treating severe ROP.2 While there is a trend towards using the laser, an advantage of one method over the other has not been shown. Far more important than this consideration is the timing of intervention, ensuring that it is not delayed until the opportunity for treatment has passed. Reports from New Zealand, USA,12,13 and Mayer and Duerksen in this issue of Community Eye Health, all indicate that the standard of neonatal care remains an important issue. The first two publications12,13 noted that tertiary level neonatal units, caring for the sickest, most immature babies had, in fact, relatively fewer babies developing severe ROP. Mayer and Duerksen, reporting on a workshop held in Chile in 1990, note that in Latin America babies of birthweight 1000-1249, 1250-1500, and 1501-1750 grams were respectively at high and moderate and low risk of developing severe ROP, whereas in more industrialised countries these same babies would be considered at very low and minimal and essentially no risk. The article by Mayer and Duerksen is thought-provoking for it highlights the risk of applying guidelines for ROP screening which have been developed in the industrialised countries to other communities where the standard of neonatal care may be lower. In these latter circumstances larger babies – who might not be included in guidelines of industrialised countries – are at risk of developing severe ROP. This creates a most difficult dilemma. Some middle income countries, with sufficient resources to permit the increased survival of preterm babies may not be able to properly fund neonatal care, and have an increased incidence of blinding ROP. The screening protocol prepared may need to include more babies than is required in the industrialised countries – thereby placing even greater demands on already stretched ophthalmic services. There is no easy answer and clearly more information on outcomes is necessary. In the meantime ophthalmologists can keep their workload to a minimum by developing a screening protocol which is based on the natural history of ROP. To conclude, there have been many advances in our understanding of the causes of ROP and its treatment. The issues surrounding the screening of these children, especially in middle income countries, need to be studied and more data on the incidence and severity of ROP in different populations are required. Suggestions that primary screening might be undertaken by the neonatal team should be explored. 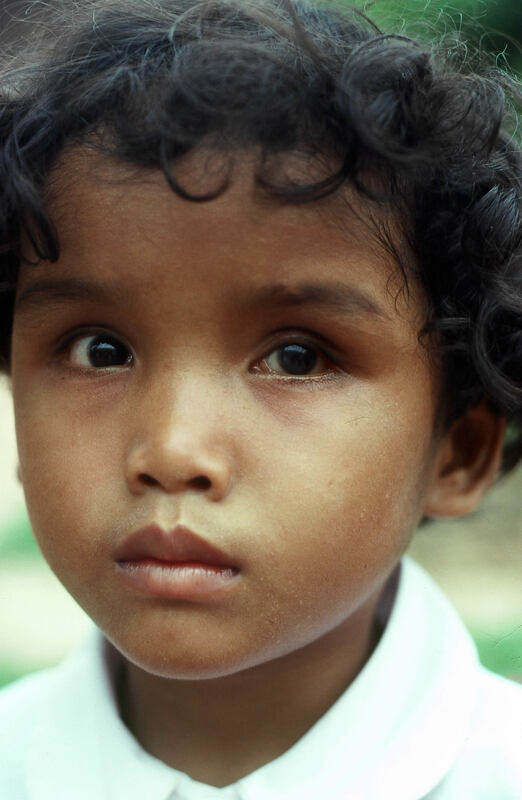 Treatment indications and methods both need to be reviewed as, at 5½ years of age almost half of those children who have been treated still have visual acuities less than 6/60.2 There is still much to be done. 1. Cryotherapy for Retinopathy of Prematurity Cooperative Group. Multicenter trial of cryotherapy for retinopathy of prematurity: preliminary results. Arch Ophthalmol 1988; 106: 471-9. 2. Cryotherapy for Retinopathy of Prematurity Cooperative Group. Multicenter trial of cryotherapy for retinopathy of prematurity. Snellen visual acuity and structural outcome at 5½ years after randomisation. Arch Ophthalmol 1996; 114; 417-24. 3. Report of a Joint Working Party. Retinopathy of Prematurity: Guidelines for Screening and Treatment. Royal College of Ophthalmologists and British Association of Perinatal Medicine, 1995. 4. Quinn GE, Dobson V, Repka MX et al on behalf of the Cryotherapy for Retinopathy of Prematurity Cooperative Group. Development of myopia in infants with birth weights less than 1251 grams. Ophthalmology 1992; 99:329-40. 5. Cryotherapy for Retinopathy of Prematurity Cooperative Group. The natural ocular outcome of premature birth and retinopathy: status at 1 year. Arch Ophthalmol 1994; 112: 903-12. 6. Fielder AR, Levene MI. Screening for retinopathy of prematurity. Arch Dis Child 1992; 67:860-7. 7. Gallo JE, Jacobson L, Broberger U. Perinatal factors associated with retinopathy of prematurity. Acta Paediatr 1993; 82: 829-34. 8. Fielder AR. Retinopathy of prematurity. Curr Paediatr 1996; 6: 56-61. 9. Fielder AR. Retinopathy of prematurity: aetiology. Clinical Risk 1997; 3: 47-51. 10. Cunningham S, Fleck BW, Elton RA, McIntosh N. Transcutaneous oxygen levels in retinopathy of prematurity. Lancet 1995; 346: 1464-5. 11. Alon T, Hemo I, Itin A, Pe’er J, Stone J, Keshet E. Vascular endothelial growth factor acts as a survival factor for newly formed retinal vessels and has implications for retinopathy of prematurity. Nature Med 1995; 1: 1024-8. 12. Darlow BA, Horwood LJ, Clemett RS. Retinopathy of prematurity: risk factors in a prospective population-based study. Paed and Perinat Epidem 1992; 6: 62-80. 13. Schaffer DB et al, on behalf of the Cryotherapy for Retinopathy of Prematurity Cooperative Group. Prognostic factors in the natural course of retinopathy of prematurity. Ophthalmology 1993; 100: 230-7.